The species is distributed in South-eastern Europe, South-western Siberia, and Kazakhstan. In Armenia the species found only in one spot located in North-eastern forests, presumably representing a relict population. Although the subspecies is not yet identified, it is assumed that it belongs to A. m. bunea Herrich-Schäffer, , the same subspecies which inhabits Caucasus. The habitat where the Freyer's Purple Emperor was recorded is a deciduous forest formed by beech, oak and horn-beam, while the riparian part of the forest is formed mostly by Salix spp. The area is located between 1200 and 1500 m a.s.l. Since the records of the species are scarce it cannot be yet concluded how many generations per year are given by Freyer's Purple Emperor, because the literature suggests two generations, but our records suppose just one, when butterflies fly in late June till mid July. The few records of the species do not allow computation of its population trend. Also nothing can be concluded about possible threats for Freyer's Purple Emperor. The species is not included in the Global and National Red Lists, as well as in CITES. However it was evaluated for European Red Book as Least Concern and is included in the Appendix II of Bern Convention. 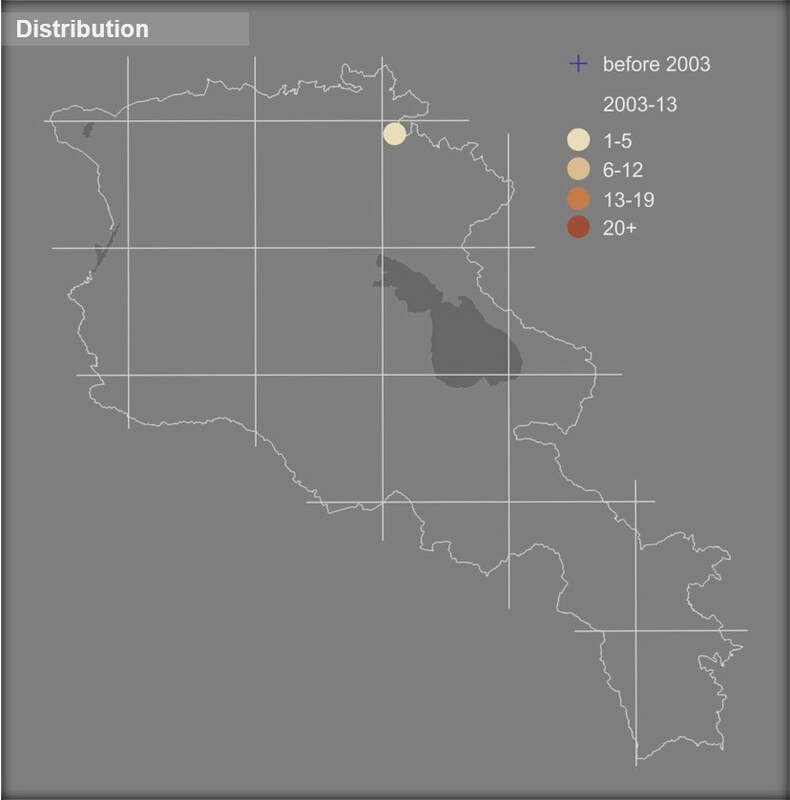 Preliminary assessment of its conservation status for Armenia suggests it as Data Deficient. The current distribution of the species is restricted with Sevkar forestry enterprise, therefore it is very important to launch a full-fledged study aimed at clarification of the current and potential threats for the species and to undertake appropriate conservation or forestry management measures if needed. Also it is important to designate the area as Emerald Site with further development of the management plan, and to assess it as Prime Butterfly Area for further promotion.